popping into the cafe during opening hours. If you have any questions about any of our events, please do not hesitate to contact us. Join us a for a very special Afternoon Tea. 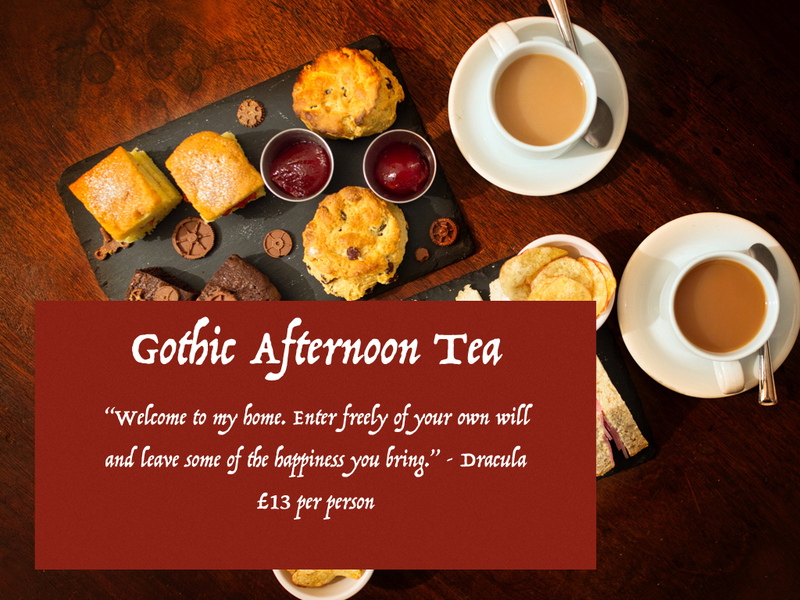 During the Whitby Goth weekend 12th-14th April, you can enjoy a delicious Gothic Afternoon Tea. Freshly made sandwiches, devilishly delicious cakes, and homemade scones with lashings of cream and jam, all washed down with unlimited tea/coffee – with a Gothic twist! Yes, you will need to book your place as places are limited. 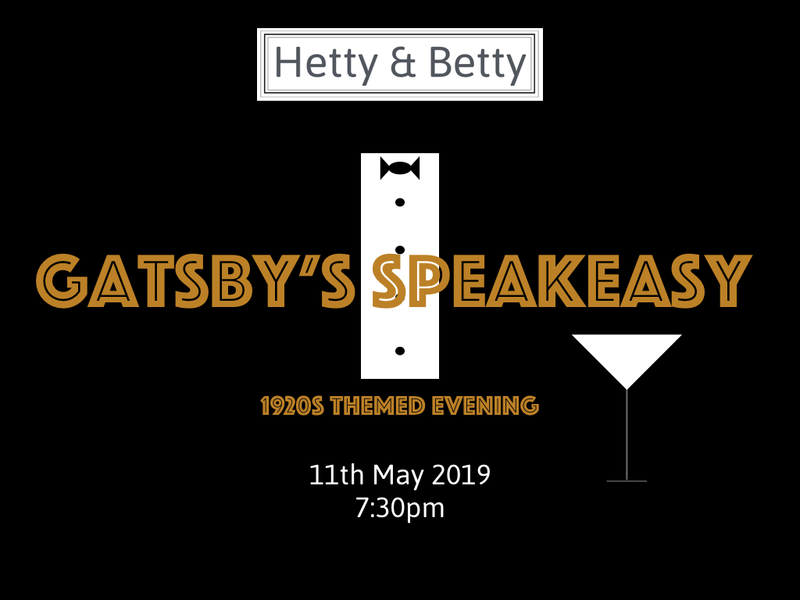 You can book by calling 07398 175309, by email at bookings@hettyandbetty.co.uk or by Facebook message: https://www.facebook.com/HettyAndBettyCafe/ or you can pop into the cafe during our opening hours. It’s the age of prohibition — gangsters and molls, flappers and dappers. Step back in time to the Charleston, Peaky Blinders and the Great Gatsby. We’ve bribed the cops so you can join us at our (not so) secret Speakeasy for one night only! Cocktails and gin will be flowing, tunes of the age will be on the airwaves and a delicious menu awaits you in our ballroom! £25 per person. Ticket includes entry, a welcome glass of fizz and dinner. Do you remember the opening words to the Only Fools and Horses theme song? Do you remember the name of Arthur Daley’s sidekick? Who sang “A Kind of Magic”? What was the big bear from the kids show Rainbow called? If you can answer the above (or have a vague recollection! ), we’ve got a great night for you! 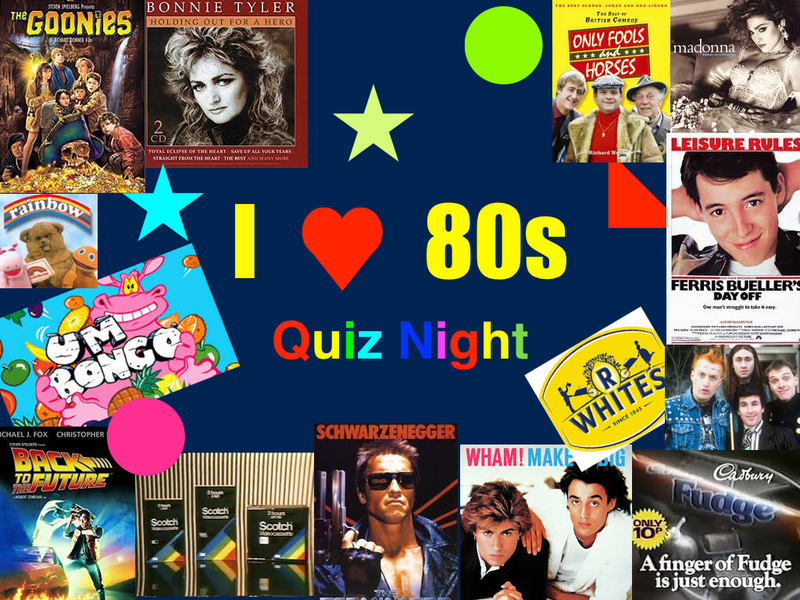 Our fabulous 80s quiz night will delve into your memory banks for some good old fashioned fun, and a few giggles too! 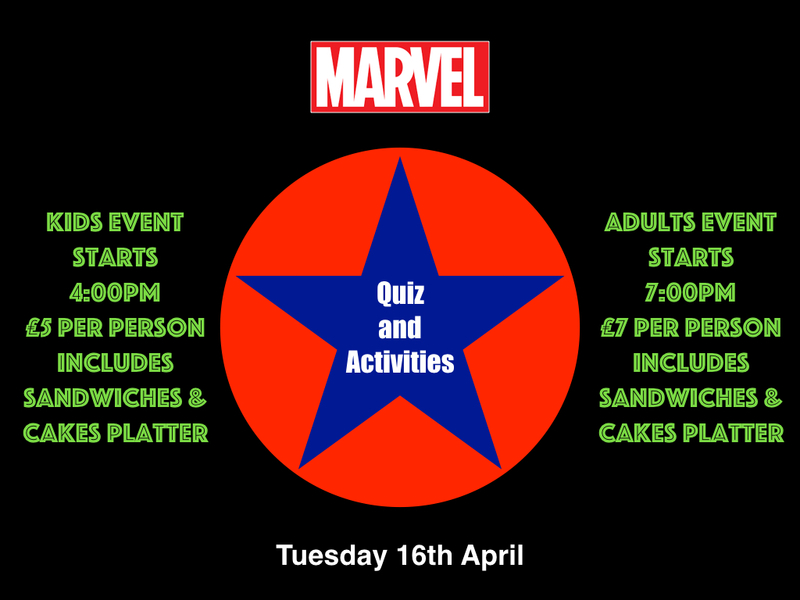 Tickets are £7 per person, and include a buffet meal. There will also be a charity raffle draw, raffle tickets can be purchased in advance from the cafe, or on the night. Sign up for our newsletters, for news, events and discounts!